The sciatic nerve is the largest nerve in the body. It consists of a large bundle of smaller nerves that begin in the lumbar spine, travel down the buttocks, and move through the leg. Sciatica is a group of symptoms that affect the region of the sciatic nerve. Radiating pain is one of the more common and intense symptoms associated with sciatica. There can also be numbness and tingling starting in the lower back radiating down the leg. 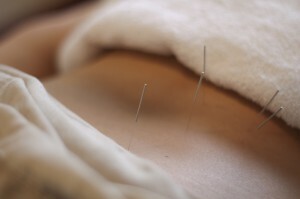 Acupuncture is very effective for relieving symptoms of acute and chronic sciatica. Sciatica occurs when something pushes on the sciatic nerve. This can be a muscle spasm or the spinal discs. Most often this pain is due to muscle spasms or a slipped disc, but it can also be a sign of serious illness and it is important to go to your doctor for a diagnosis if the symptoms persist for a long period. Piriformis syndrome can cause chronic sciatica. Sometimes the sciatic nerve runs under or through the piriformis muscle. This muscle is located in the pelvis. It is connected to the bottom of the spine and the top of the femur, or thighbones. If the piriformis muscle starts to spasm or becomes tight, it can put pressure on the sciatic nerve and cause the pain as well as the radiating symptoms. This persistent spasm of the piriformis muscle is called piriformis syndrome. It can be caused by an injury or sedentary lifestyles in people who don’t stretch or exercise. Particularly if you sit all day at a desk or computer, this can be a problem. Acupuncture and Chinese medicine state that the body is interconnected; no one part can be separated from another. The diagnosis and treatment of sciatica is based upon identifying specific imbalances in the muscles and the body as a whole. Correcting the imbalance does not just treat the symptoms or mask the condition, but rather corrects the root of the problem by encouraging self-healing of the body. Acupuncture treatment of sciatica will focus on relaxing the muscles and stretching the tendons and fascia. It can also help strengthening the muscles. The most common acupuncture imbalance in acute sciatica is qi and blood stagnation in the back channels. Qi and blood stagnation in the channels often affects the soft tissue of the lumbar, hips, and pelvis. This is what causes the muscle spasm and tension that triggers the intense shooting pain of acute sciatica. Other common acupuncture imbalances are kidney qi vacuity, spleen qi vacuity with dampness, and liver qi stagnation. The most effective therapy for sciatica includes acupuncture, electro-acupuncture, and Tui Na, which is Chinese medical massage. In some cases, cupping and stretches are very helpful. The back, hip, and pelvis are interconnected and the treatment should incorporate the entire region. 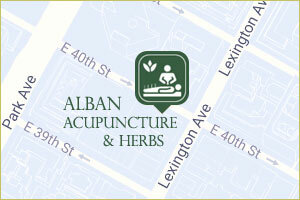 Overall, the acupuncture treatment should relax and stretch the tendons and fascia while strengthening the muscles. This will help release the spastic muscles and strengthen them, allowing the back to naturally heal. It can even encourage an out of place disc to go back into place, depending on severity. Acupuncture has been shown to reduce pain and inflammation through regulating neural pain pathways, stimulate the release of natural pain relieves in the body, such as opioids, as well as regulate pain relieving opioid receptors. Research also has shown acupuncture to have a anti-inflammatory effect, reducing the circulating inflammatory hormones in the blood. This will help to reprogram the muscles to stay relaxed, and in effect, encourage the body heal itself. Chinese massage, or tui na, works to support the acupuncture by releasing any extra tension in the fascia and connective tissue around the muscles. The technique called rolling is very important to deeply relax the muscles and improve circulation at the same time.